Abstract: This article discusses the evidence for the journeys of several Norsemen to a place called Vinland around the year 1000. In hindsight, the stories of the unsuccessful attempt to settle Vinland have been enduringly linked to the consequent discoveries of the American continents, which occurred five centuries later. 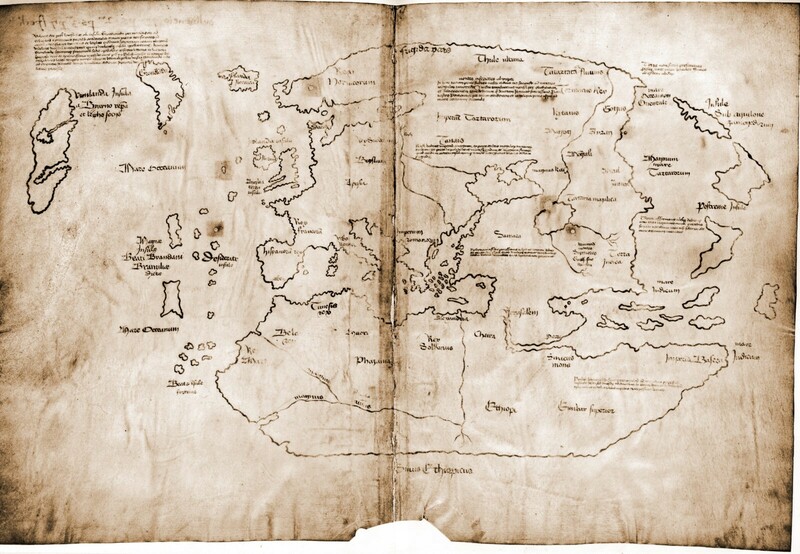 However, as there are no contemporary, or near-contemporary, written records of journeys to Vinland and the nearby islands, all reconstructions of those events spring from later texts, some of them written down 300 years or more after the fact. Introduction: That an island named Winland or Vinland exists is asserted in four medieval texts. Three of them were written in Old Norse and one in Latin. The oldest texts – chronicles composed in the 1070s and 1120s – briefly mention Winland and its inhabitants. There exist two longer accounts in three manuscripts from the fourteenth and fifteenth centuries. These four written accounts are the only textual evidence about what the medieval Norse might have known about the Winland and its surroundings in the Middle Ages. There are no contemporary, or near-contemporary, written records of journeys to Winland and the nearby islands. All reconstructions of those events spring from later texts, some of them written down three centuries or more after the fact. Yet what may, or may not, have happened has gradually been granted the status of a real event. A detailed analysis of these textual sources is essential for a reassessment of the Winland journeys, past and present. The focus of the present study will not be on whether events actually took place in the manner depicted by the sources, but rather on the conventions of their narration.